Take advantage of the convenience of a Zeel Massage in Covina whenever and wherever you need it. A massage therapist will come to your Covina home, hotel, or office in as little as an hour, or schedule in advance. Relax and recuperate with a spa-quality massage in the comfort of your Covina home. There are over 9,000 massage therapists in the Zeel network nationwide. Here are a few that are available for in-home massages in Covina. 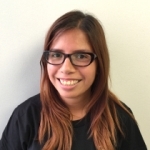 Certified massage therapist Jocelyn has been practicing massage for over 5 years. She has has worked in tandem with acupuncturists and physical therapists to help clients achieve their wellness goals. Jocelyn is trained in a number of massage modalities, including Swedish, deep tissue, prenatal, sports massage, neuromuscular therapy, and more. She combines the best techniques in massage therapy to provide a relaxing, stress-relieving session for her clients. Natalie is a highly professional and certified massage therapist, committed to providing excellent service and quality massages to her clients. 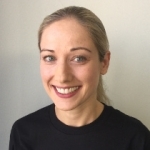 Trained at the National Holistic Institute, Natalie is trained in Swedish, deep tissue, shiatsu, acupressure, myofascial release, and sports massage with additional experience in prenatal massage, CranioSacral therapy, lymphatic drainage, and Lomi Lomi. Having obtained her undergraduate degree in Switzerland, she is fluent in French and proficient in Spanish and Italian. Jeffrey has over five years of experience as a massage therapist in Los Angeles and the San Francisco Bay Area, both through his mobile private practice and in spa environments like Burke Williams. Jeffrey's sessions are each designed based on the client's individual needs and preferences. His modalities include Swedish massage, deep tissue massage, Shiatsu, prenatal massage, sports massage, and myofascial release therapy. Experience new levels of luxury with a massage in Covina, California, courtesy of Zeel Massages On-Demand. Once famous for its oranges and grapefruits, Covina, CA is now known for its lovely neighborhoods. This area features many retail outlets, a performing arts center, and a recreation of an ancient Olmec statue. While you’re enjoying your days in Covina, be sure to take some time out for yourself. Unwind with a mobile massage in Covina, delivered right to your doorstep from Zeel. Zeel Massage On Demand offers a tranquil, therapeutic escape from your busy day. 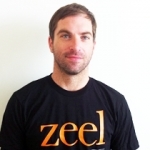 You can use Zeel.com or the convenient Zeel mobile app to order massage delivery in under an hour. Imagine yourself getting a Swedish massage, deep tissue massage, prenatal massage, or sports massage from a trained and vetted Zeel therapist in Covina, CA. Whether you want a massage as early as 8am or as late as 10:30pm, our massage therapists will deliver a spa quality massage to your home, hotel, or office. Whenever you’re ready to give your body the care it needs, Zeel Massage On-Demand is there for you! Zeel provides Swedish massage, deep tissue massage, prenatal massage, sports massage, couples massage, and chair massage in Covina.